The Fresno Chaffee Zoo has announced that Siabu the gargantuan is pregnant! FRESNO, Calif. (KFSN) -- The Fresno Chaffee Zoo has announced that Siabu the gargantuan is pregnant! The zoo posted a positive pregnancy test on its social media on Thursday with the caption "guess who's expecting!" teasing towards the big announcement. 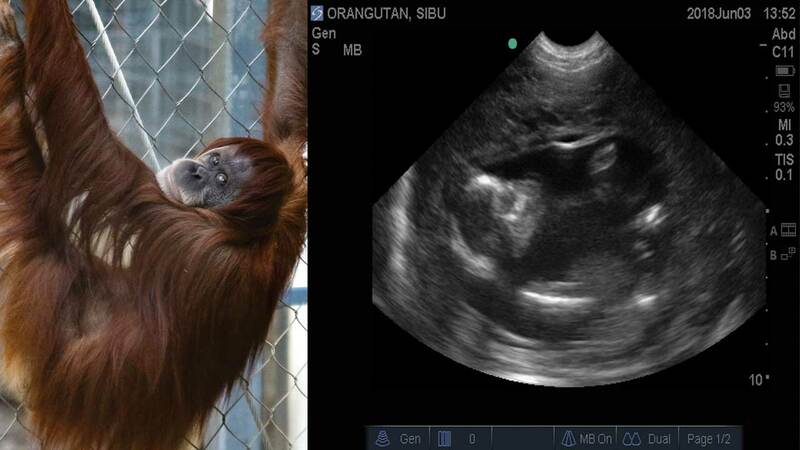 The baby orangutan is expected sometime in November or December. According to zoo officials, the father is 34-year-old male orangutan Busar, who came to Fresno in 1997 from Zoo Atlanta. Siabu, 29, came to Fresno in 2001 from the Audubon Zoo in New Orleans. Siabu and Busar are also the parents of a female orangutan, Ndari, born December 18, 2010, whose name means "full moon" in Indonesian. This will be Busar's second offspring with Siabu and third offspring overall. He and 47-year-old female orangutan, Sara, welcomed male orangutan Labu on October 31, 2010. His name means "pumpkin" in Indonesian.